All Winstonia nail burashes are handmade with precise scale and measurement. This assures our consistent quality of finest quality nail art brush. Precisely handmade with the finest kolinsky hair. 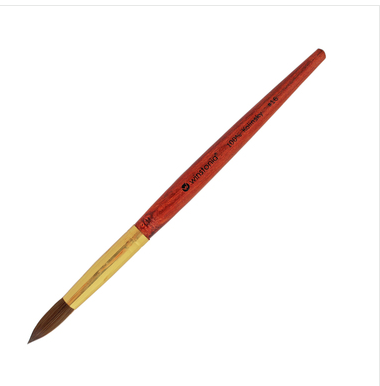 these round acrylic brush is tour perfect tool for gorgeous acrylic manicure.The kolinsky hair holds and releases acrylic for ease of tapping. The round bristle body gives a smooth shaping and farming when working on nails.